Not to be confused with Čelje. This article is about the city in Slovenia. For city in Germany, see Celle. For the football club, see NK Celje. Celje was known as Celeia during the Roman period. Early attestations of the name during or following Slavic settlement include Cylia in 452, ecclesiae Celejanae in 579, Zellia in 824, in Cilia in 1310, Cilli in 1311, and Celee in 1575. The proto-Slovene name *Ceľe or *Celьje, from which modern Slovene Celje developed, was borrowed from Vulgar Latin Celeae. The name is of pre-Roman origin and its further etymology is unclear. In the local Slovene dialect, Celje is called Cjele or Cele. In German it is called Cilli, and it is known in Italian as Cilli or Celie. The first settlement in the area of Celje appeared during the Hallstatt era. The settlement was known in the Celtic times and to Ancient Greek historians as Kelea; findings suggest that Celts coined Noric money in the region. Once the area was incorporated in the Roman Empire in 15 BC, it was known as Civitas Celeia. It received municipal rights in AD 45 under the name municipium Claudia Celeia during the reign of the Roman Emperor Claudius (41-54). Records suggest that the town was rich and densely populated, secured with the walls and towers, containing multi-storied marble palaces, wide squares, and streets. It was called Troia secunda, the second; or small Troy. A Roman road through Celeia led from Aquileia (Sln. Oglej) to Pannonia. Celeia soon became a flourishing Roman colony, and many great buildings were constructed, such as the temple of Mars, which was known across the Empire. Celeia was incorporated into Aquileia ca. 320 under the Roman Emperor Constantine I (272-337). The city was razed by Slavic tribes during the Migration period of the 5th and 6th centuries, but was rebuilt in the Early Middle Ages. The first mention of Celje in the Middle Ages was under the name of Cylie in Wolfhold von Admont's Chronicle, which was written between 1122 and 1137. The town was the seat of the Counts of Celje from 1341 to 1456 It acquired market-town status in the first half of the 14th century and town privileges from Count Frederick II on 11 April 1451. Celje, pictured in 1750. The Voglajna River can be seen on the left, flowing into the Savinja. The island district is called Otok (Slovene for 'island'). After the Counts of Celje died out in 1456, the region was inherited by the Habsburgs of Austria and administered by the Duchy of Styria. The city walls and defensive moat were built in 1473. The town defended itself against Turks and in 1515 during great Slovene peasant revolt against peasants, who had taken Old Castle. Many local nobles converted to Protestantism during the Protestant Reformation, but the region was converted back to Roman Catholicism during the Counter-Reformation. Celje became part of the Habsburgs' Austrian Empire during the Napoleonic Wars. 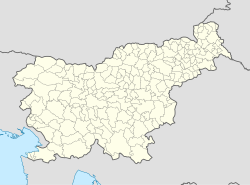 In 1867, after the defeat of Austria in the Austro-Prussian War, the town became part of Austria-Hungary. The first service on the Vienna-Trieste railway line came through Celje on 27 April 1846. In 1895, Celje secondary school, established in 1808, began to teach in Slovene. At the end of the 19th century and in the early 20th century, Celje was a center of German nationalism which had repercussions for Slovenes. The 1910 census showed that 66.8% of the population was German. A symbol of this was the German Cultural Center (German: Deutsches Haus), built in 1906 and opened on 15 May 1907, today it is Celje Hall (Slovene: Celjski dom). The centuries-old German name of the town, Cilli, sounded no longer German enough to some German residents, the form Celle being preferred by many. Population growth was steady during this period. In 1900, Celje had 6,743 inhabitants and by 1924 this had grown to 7,750. The National Hall (Narodni dom), which hosts the Mayors Office and Town Council today, was built in 1896. The first telephone line was installed in 1902 and the city received electric power in 1913. Slovene and German ethnic nationalism increased during the 19th and early 20th centuries. With the collapse of Austria-Hungary in 1918 as a result of World War I, Celje became part of the Kingdom of Serbs, Croats and Slovenes (later known as Yugoslavia). During this period, the town experienced a rapid industrialization and a substantial growth in population. Celje was occupied by Nazi Germany in April 1941. The Gestapo arrived in Celje on 16 April 1941 and were followed three days later by SS leader Heinrich Himmler, who inspected Stari pisker. During the war the city suffered from allied bombing, aimed at important communication lines and military installations. The National Hall was severely damaged. The toll of the war on the city was heavy. The city (including nearby towns) had a pre-war population of 20,000 and lost 575 people during the war, mostly between the ages of 20 and 30. More than 1,500 people were deported to Serbia or into the German interior of the Third Reich. Around 300 people were interned and around 1,000 people imprisoned in Celje's prisons. An unknown number of citizens were forcibly conscripted into the German army. Around 600 "stolen children" were taken to Nazi Germany for Germanization. A monument in Celje called Vojna in mir (War and Peace) by the sculptor Jakob Savinšek, commemorates the World War II era. After the end of the war, the remaining German-speaking portion of the populace was expelled. Anti-tank trenches and other sites were used to create 25 mass graves in Celje and its immediate surroundings and were filled with Croatian, Serbian, and Slovenian militia members that had collaborated with the Germans, as well as civilians. Celje became part of independent Slovenia following the Ten-Day War in 1991. On 7 April 2006, Celje became the seat of a new Diocese of Celje, created by Pope Benedict XVI within the Archdiocese of Maribor. The town's tourist sights include a Grayfriars' monastery founded in 1241 and a palace from the 16th century. Celje has a warm-summer humid continental climate (Köppen climate classification Dfb). The coat of arms of Celje are based on the coat of arms of the Counts of Celje. The coat-of-arms of Celje was selected for the national arms immediately after World War I in 1918, when Slovenia together with Croatia and Serbia formed the original Kingdom of Serbs, Croats and Slovenes (later Yugoslavia). A similar coat of arms was integrated into the Slovenian national arms in 1991. The Celje annual municipal festival is held on April 11. Celje does not have its own university, although some college-level education has been established in the city. The Faculty of Logistics, formally part of the University of Maribor, was established in Celje in 2005. The current mayor of Celje is Bojan Šrot, elected for the fifth time in 2015. In addition to that there are also Celje Labour Court for resolving labour law disputes and an external department of Administrative Court for resolving disputes arising from administrative procedures. Postal number: SI-3000 (from 1991). (Old one: 63000 (between 1945–1991)). Margareta of Celje (1411–1480), noblewoman member of the House of Celje, duchess of Głogów and Ścinawa. ^ a b "Nadmorska višina naselij, kjer so sedeži občin" [Height above sea level of seats of municipalities] (in Slovenian and English). Statistical Office of the Republic of Slovenia. 2002. Archived from the original on 2012-11-25. ^ "Largest settlements by number of population". Place Names. Statistical Office of the Republic of Slovenia. Retrieved 3 April 2016. ^ Snoj, Marko. 2009. Etimološki slovar slovenskih zemljepisnih imen. Ljubljana: Modrijan and Založba ZRC, p. 87. ^ "The history of Celje: From the Celts and Romans to the Counts and Yugoslavia to the EU". Archived from the original on 2016-10-03. Retrieved 2016-10-03. ^ For more information on the 1910 Austro-Hungarian census, see Geographischer Atlas zur Vaterlandskunde an der österreichischen Mittelschulen. K. u. k. Hof-Kartographische Anstalt G. Freytag & Berndt, Vienna 1911. ^ "Celjie Climate normals 1981-2010" (PDF). ARSO. Retrieved September 20, 2012. ^ a b "Partnerska mesta" (in Slovenian). Retrieved 2018-09-08. This article incorporates text from a publication now in the public domain: Chisholm, Hugh, ed. (1911). "Cilli" . Encyclopædia Britannica. 6 (11th ed.). Cambridge University Press. p. 366. Orožen, Janko (1971). Zgodovina Celja in okolice, 1. del (History of Celje and surroundings) (in Celjski zbornik ed.). Celje: Kulturna skupnost v Celju.